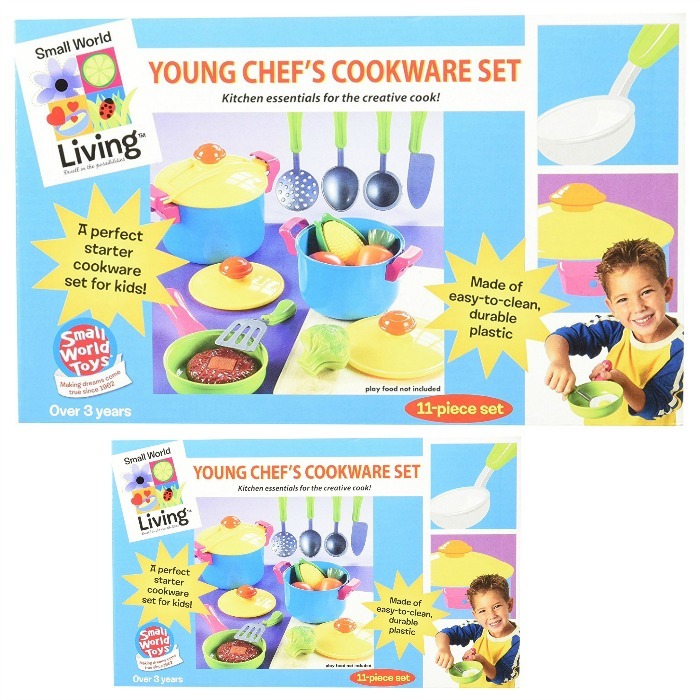 Small World 11 Piece Young Chef Cookware Set Just $4.49! Down From $24! You are here: Home / Great Deals / Amazon Deals / Small World 11 Piece Young Chef Cookware Set Just $4.49! Down From $24! Amazon has this Small World 11 Piece Young Chef Cookware Set for just $4.49 (Reg. $24)! A great set of pretend cookware for kids, made of lightweight, easy-to-clean plastic in vivid colors. The 11-piece set includes a large stockpot with lid, small stockpot with lid, frying pan with lid large spoon, knife, skimmer, spatula and ladle.